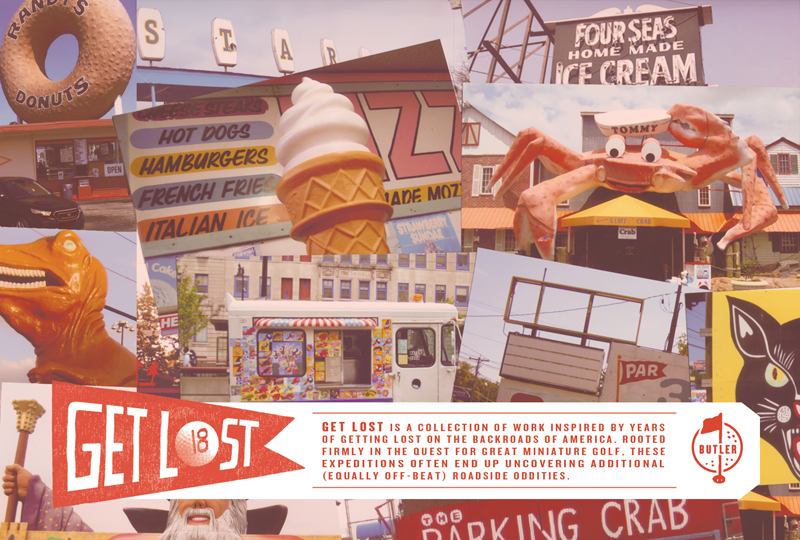 GET LOST is a collection of work inspired be years of getting lost on the back roads of America. Rooted firmly in the quest for great miniature golf, these expeditions often end up uncovering additional (equally off-beat) roadside oddities. 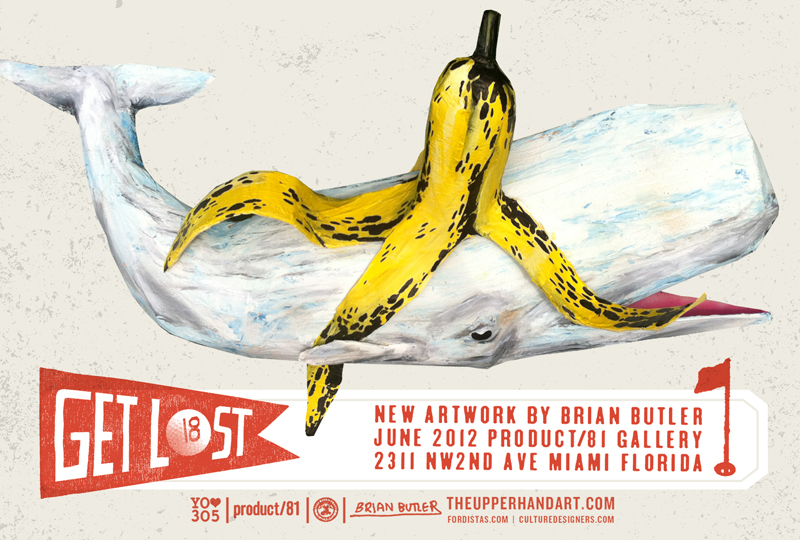 This exhibit features a collection of paintings, photos and sculpture by Brian Butler, showcased alongside a really-sweet mural, and a playable miniature golf hole. Artwork available for purchase here.